Elite Motors OC is a family-owned and operated business. Our shop is run by Alex Pop, a BMW factory trained technician, with over 12 years of experience working on cars, including more than 9 years of working exclusively on BMW vehicles at different SoCal BMW dealers. 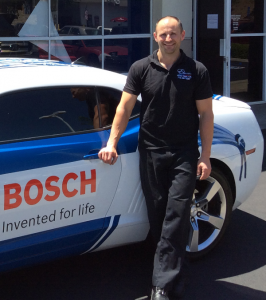 Alex is a local of Orange County and is a gifted technician with a strong passion for cars. As a professional mechanic, Alex’s approach to servicing cars has always been about fixing things right the first time, and also about utilizing his skills and knowledge to give his customers the best advice in terms of preventive measures. He can also advise you how to economically maintain BMW, Mini and Karma vehicles and keep them in top shape.